You might be getting spam and malware these days, but fortunately it isn’t nearly as bad as it was from 2009 to 2010. On “Patch Tuesday” in August of 2010, Microsoft issued an alarmingly massive security update. Meanwhile McAfee was publicizing its second-quarter date. It showed malware permeating the Internet on a mega scale in 2010, according to Website Magazine. The magazine reported McAfee isolated six million malware cases in Q2 – that’s 10 million for the first half of 2010, alone. In all, there were 34 vulnerabilities in Microsoft Office, Microsoft Windows, Internet Explorer, Silverlight, Microsoft XML Core Services and Server Message Block. “The most frequently used malware included threats on portable storage devices, fake anti-virus software, software specifically targeted at social media users, AutoRun malware and password-stealing Trojans,” wrote Linc Wonham, Website Magazine’s associate editor. “McAfee reported that approximately 55,000 new pieces of malware appeared every day around the world,” he explained. He reported spam was down after peaking at almost 175 billion messages per day in Q3 2009. “The most popular forms of spam in the U.S. were delivery status notifications or non-delivery receipt spam, which was also the case in Great Britain, China, Australia, Italy, Spain, Germany and Brazil. Argentina had the world’s highest number of different spam topics with 16, according to McAfee’s report,” he explained. Whenever Microsoft hasn’t updated your computers, get busy. Manually download the security update. By the way, Microsoft and Windows aren’t the only targets now. Cyber criminals chew up Apple products, too. 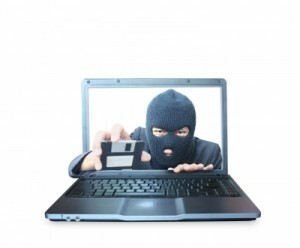 Identity theft has escalated in smartphones and social media. That includes Google’s security issues with its Android products. The New Face of $1 Trillion in Cybercrime on Business – Account Takeovers, Credit Card Fraud Business Web sites are facing an increasingly intense full-court press from cybercriminals – the aggregate cost of cybercrime annually, which includes prevention strategies, has exceeded $1 trillion. Most Small Businesses Make You Vulnerable to Credit Card Fraud, ID Theft — A whopping 79 percent of companies in the U.S. and U.K. experienced Web-borne attacks in 2012, according to data released in 2013. These incidents continue to represent a significant threat to corporate brands. What Your Company Can Do to Combat the Malware Epidemic — The nation’s leading Internet security expert, Stan Stahl, Ph.D. agrees with McAfee that an epidemic of malware has been unleashed on the Web, and he provides solutions.